CASTLE - Large apartment with terrace. SAN POLO - Exclusive Studio / Pied-à-terre. In the romantic Giudecca Island, not far from the "Palanca" waterbus station, this luxury semi-detached villa has been recovered through a big restoration of an ancient marble factory. The property contains best materials and is equipped with air conditioning systems in every room. It is composed of a large living area with kitchenette, a master bedroom, a bathroom with bath tube and an exclusive patio surrounded by ornamental plants. 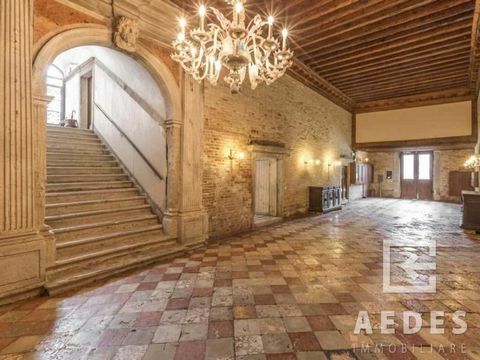 The 4 meters high ceilings with exposed trusses and the prestigious Venetian terrazzo flooring make this property a luxury pied-a-terre and a profitable real estate investment in one of the most exclusive areas of Venice. The property is located on the quiet and exclusive Giudecca Island, two minutes away from the vaporetto station "Palanca", from which you can reach St. Mark's Square and the main venetian monuments in less than ten minutes. For this reason, Giudecca is a oasis of peace, away from the tourist flow and on the same hand in close contact to Venice. Rustic with sea view for sale in Bordighera. The rustic for sale in Bordighera, has a flat land of 4200sqm with perfect exposition and easy access. Now it’s 30 square meters but can be expanded and build a house of 120sqm (80sqm residential and 40sqm warehouse) plus 120sqm of basement. Postal code 18012 Distance from Nice airport 55 km Distance from Montecarlo 30 minutes Distance from ski resort 68 km Distance from beach 5 minutes Very nice area Incredible sea view. BORDIGHERA The history of Bordighera begins with the foundation of the city in 1471, on an area inhabited since the first centuries before Christ. Over the centuries, and in particular in the nineteenth century, the city was chosen by the English aristocracy as a holiday destination, thanks to the climate and the splendid panorama. Among the places to visit remember the church of Sant'Ampelio, patron of the city and the church of Maddalena - built in the seventeenth century within which you can admire numerous works of art and in the ceiling of the central nave, the chandelier gift of Queen Margherita of Savoy. The tourist heart of the city is Lungomare Argentina, where the seaside resorts and the trendiest clubs of Bordighera are located. We also remember the Bicknell museum, which preserves numerous prehistoric finds related to the history of Liguria and a very rich archaeological and scientific library. Another recommended stop is the exotic Pallanca garden, where more than three thousand varieties of rare plants are housed. Do not miss the visit of Bordighera Alta, ancient and modern at the same time stretched, formed by narrow streets and streets similar to those of a labyrinth. This historic center is full of history and special places, an ideal place to breathe the air of centuries-old traditions. There is a path, which starts from the city, among palm trees and other Mediterranean trees, along which you can see the facades of what were the most beautiful hotels of the last century but above all to enjoy magnificent natural landscapes. This charming property has a traditional venetian cottage-style, and it is located in the historic centre of Venice's Sestiere San Polo. Close to the famous Rialto Bridge, this cozy 2-story house offers an independent large entrance on the ground floor, a bright living/dining area with a separate kitchen, two double bedrooms and two bathrooms (one en-suite). From the main first floor, you can step out onto a small pretty terrace. The beautiful exposed beams and the Venetian terrazzo marble floors, give extra cosiness and charm to the house. The house is located in the San Polo district, not far from San Stae and Campo San Polo , in a beautiful location close to the Grand Canal, just a few steps from Scalzi Bridge, train and bus station. Rialto and San Marco are only 5-10 minutes away. Superb 3 Bedroom House and Apartment in Abruzzo Italy. 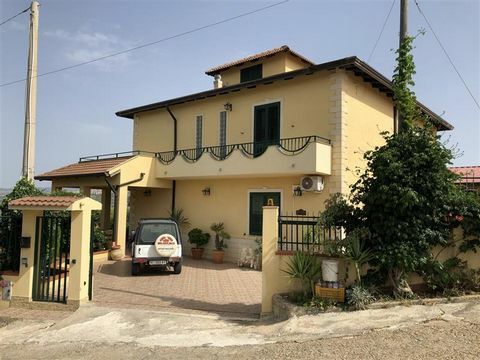 Superb 3 Bedroom House and Apartment in Abruzzo Italy Euroresales Property ID – 9825034 Property information: This property is an excellent 2-bedroom house with a single bedroom attached apartment, it is located in Rapino, Abruzzo, Italy. The main level of the property is accessed through the north entrance, it consists of a hallway with access to the custom-built kitchen and dining room with an open fire and internal access to the apartment, the living room is accessed through the hall also. The first floor of the property contains the master bedroom which has its own private balcony, 5-piece bathroom and laundry/utility room. Another double-bedroom is also situated on the first floor along with a door which leads to the south facing terrace. The attic is currently unfinished and would be suitable for an additional bathroom and bedroom or a living room with a sea view. The apartment is fully self-contained and has one large bedroom, en-suite bathroom with a thermo shower and a fully fitted, custom-built kitchen. The apartment also has a living/dining area which opens out onto the south facing garden. The property includes a private entrance to the apartment from the paved driveway and has mains gas for heating with automatic electric backup. The hot water is provided by solar panels and the heating system is on a bi-annual inspection package. The exterior of the property has a mixed design of original local stone along with brick and plaster, the main level of the house also has stone but is not exposed. The roof of the property is in excellent condition. The property also includes a private, fenced and gated garden which provides a wonderful area to relax. The garden also has steps which lead up to the terrace area which has custom made iron railings. Towards the end of the garden is a garage which is in need to restoration, it is currently being used for storage. At the rear of the garden there is an additional gate and parking along with the space in the driveway at the front. All the windows in the property are fitted with bug screens and privacy blinds, the apartment also has double glazed windows which provide extra insulation. The property is only a few minutes away from local bars and restaurants and provides beautiful views of the Italian countryside and possible sea views if the attic is converted. Other Information: Bedrooms – 3 Bathrooms – 2 Floor Size – 157 square metres Plot Size – 770 square metres Parking – Off-street & Private Garage Furnished – Negotiable Distance from Sea – 30 minutes Distance from Golf – 30 minutes Distance from Main Attraction – 30 minutes Distance from Airport – 45 minutes About the Area: Abruzzo is a region of Southern Italy with an area of 10,763 square km and a population of 1.2 million. Abruzzo borders the region of Marche to the north, Lazio to the west and south-west, Molise to the south-east, and the Adriatic Sea to the east. Geographically, Abruzzo is divided into a mountainous area in the west, which includes the Gran Sasso d'Italia, and a coastal area in the east with beaches on the Adriatic Sea. Abruzzo is known as "the greenest region in Europe" as almost half of its territory, the largest in Europe, is set aside as national parks and protected nature reserves. There are three national parks, one regional park, and 38 protected nature reserves. These ensure the survival of 75% of Europe's living species, including rare species such as the small wading dotterel, the golden eagle, the Abruzzo chamois, the Apennine wolf and the Marsican brown bear. Abruzzo is also home to Calderone, Europe's southernmost glacier. The Abruzzo region has two types of climate that are strongly influenced by the Apennine Mountains, dividing the climate of the coastal and sub-Apennine hills from the interior's high mountain ranges. Coastal areas have a Mediterranean climate with hot dry summers and mild winters and rainy hills with a sublittoral climate where temperatures decrease progressively with increasing altitude and precipitation with altitude. Abruzzo's vegetation is characterized by different Mediterranean ecosystems. The coast and the surrounding areas include typical plants of Mediterranean shrubland, such as myrtle, heather and mastic, while in the hilly areas other species grow, including olive, pine, willow, alder, acacia, capers, rosemary, hawthorn, and almond trees, interspersed with oak trees. In the past decade, tourism has increased, in particular by internal and European arrivals. Abruzzo is world-famous for its wildlife parks and regional park, and 38 protected areas between oasis, regional reserves, and state reserves. The inland mountainous region contains several ski resorts, and coastal tourism is also well-developed, in particular, the Trabocchi Coast. Italy - Lombardy - Milan. The apartment occupies the entire fourth floor of a completely renovated ancient building located in one of the most exclusive streets of Milan Fashion District. The property has been renovated using quality materials and new-generation technological solutions, it is composed of a large entrance hall, a triple living room with dining room that offers bright views of Via Santo Spirito, a large open concept kitchen made to measure the design by Comprex with appliances by Gaggenau. The sleeping area consists of a large master bedroom, a double walk-in closet with a large en suite bathroom, that connects to a terrace, plus two large double bedrooms with independent bathrooms. The apartment is completed by a service area with laundry, a study/bedroom and a powder bathroom. It also has a Sonos cable sound system with separate regulation for each room, alarm system and video surveillance. The purchase price includes three very rare private parking spaces in the mechanized silos with access from the inner courtyard providing a shelter over your vehicles. SANTA CROCE - Very bright apartment for the Tolentini with open view. Description On the top floor of an elegant building we offer an elegant apartment, recently renovated, with a spectacular view over the rooftops and overlooking the canal. A characteristic private bridge leads to the main entrance where there is a beautiful entrance hall with marble stairs. Entering the property we will be immediately struck by the height of the ceilings and the important windows that make all the rooms extremely airy and bright. The marvelous Venetian terrazzo flooring makes the property truly prestigious, the spaces are cleverly distributed and composed of a double bedroom with capacious wardrobes, a large single bedroom, two bathrooms, one with a bath, shower and window, a very useful room wardrobe, and a living area flooded with light where the well-equipped kitchen is separated by a pretty archway passes food. The apartment has air conditioning and a functional attic. Land with sea view for sale in Ospedaletti. The land for sale in Ospedaletti has a surface of 1580sqm and is in a residential area, near the center and the beaches. Will be approved a project to build an independent house of 163sqm with swimming pool. GROUND FLOOR: kitchen, living room, pantry, cellar and bathroom FIRST FLOOR: 3 bedrooms and 2 bathrooms Postal code 18014 Distance from Nice arport 60 km Distance from ski resort 78 km Distance from beach 500 meters Distance from Montecarlo 35 minutes Peaceful and quiet Stunning sea view Restaurant bar shops Ospedaletti Nice place of the Ligurian coast, Ospedaletti was founded in the '300 by the Knights of Rhodes, who erected a hospital that then gave the name to the country. In addition to the historical center you can admire Villa Sultana, a monumental three-domed building built in the early twentieth century, which from 1911 to 1924 was the prestigious home of the first Casino of Italy and a place for the European aristocracy. Interesting the circuit of the old walls of which some watchtowers are still preserved. Other recommended stops are the visit to the Sanctuary of the Madonna delle Porrine, just outside the town center, built around the middle of the 16th century and 6 km away, in the Coldirodi area, the Rambaldi Art Gallery which has over 100 paintings from the 15th to the 19th centuries. Ospedaletti, in more recent times, from 1947 to 1972, hosted an internationally renowned motor racing circuit, where the greatest pilots of the time ran from Fangio to Ascari. The main industry is tourism, highly developed thanks to the mild climate and the beauty of the places. Venice - Venice - downtown and islands - Cannaregio. Ref. 3295 - CANNAREGIO - Sant'Alvise In a residential area, close to shops, we offer apartment on the second floor of a building in excellent condition with elevator, garden and terrace in common. The property, with a wonderful OPEN VIEW ON GARDENS and CANAL, consists of entrance hall, large living room, kitchen, two bedrooms, one double and one single, BALCONY, windowed bathroom with shower box. Equipped with a warehouse, central heating, A/C , CERTIFICATE OF AGIBILITY and SEPTIC TANKS. Excellent solution as a first home. Modern one-bedroom apartment in a good location. In one of the most typical areas of Venice, we offer for sale this spacious south-facing apartment with charming views on the romantic communal garden. The apartment features a large living room with kitchen, an elegant double bedroom and a bathroom with bath tube. The floors are made of stone, the ceilings are decorated with beautiful exposed beams, windows have all painted steel with double glazing and interior doors are made of oak wood. The heating and cooling are totally autonomous. Other facilities are: underfloor heating, satellite dish, electric skylights and videophone. The apartment is located in a prestigious Residence in Cannaregio, a few minutes from the vaporetto stop "Guglie" and very close to the characteristic Jewish quarter. In about 10 minutes you can walk to the train station and Piazzale Roma, fundamental point of interchange between the island of Venice and the mainland. Superb 6 Bedroom Villa in Sicily Italy. Superb 6 Bedroom Villa in Sicily Italy Euroresales Property ID – 9825035 Property information: This is a superb 6-bedroom villa located in Sicily, Italy. The property consists of 6 bedrooms, 4 bathrooms, lounge and kitchen. The property has an overall floor size of approximately 310 square metres and provides spectacular views of the beautiful Italian countryside. The property is being sold as partly furnished and equipped throughout. The property also includes a private garden which provides a wonderful area to spend time and relax. Off-street, secure, private parking is also available at the front of the property. The property could be used either as a holiday home or as a permanent residence. A superb opportunity for those interested in owning property in this superb area within Sicily, Italy. Other Information: Bedrooms – 6 Bathrooms – 4 Approximate Floor Size – 310 square metres Private Garden Private Parking Country Views About the Area: Sicily is the largest island in the Mediterranean Sea and one of the 20 regions of Italy. It is one of the five Italian autonomous regions, in Southern Italy along with surrounding minor islands, officially referred to as Regione Siciliana. Sicily is located in the central Mediterranean Sea, south of the Italian Peninsula, from which it is separated by the narrow Strait of Messina. Its most prominent landmark is Mount Etna, the tallest active volcano in Europe, and one of the most active in the world, currently 3,329 m high. Sicily has a typical Mediterranean climate with mild and wet winters and hot, dry summers with very changeable intermediate seasons. On the coasts, especially the south-western, the climate is affected by the African currents and summers can be scorching. Sicily has long been noted for its fertile soil due to volcanic eruptions. The local agriculture is also helped by the pleasant climate of the island. The main agricultural products are wheat, citrons, oranges, lemons, tomatoes, olives, olive oil, artichokes, Opuntia ficus-indica, almonds, grapes, pistachios and wine. The region is known mainly for fortified Marsala wines. In recent decades the wine industry has improved, new winemakers are experimenting with less-known native varietals, and Sicilian wines have become better known. The best-known local varietal is Nero d'Avola, named for a small town not far from Syracuse; the best wines made with these grapes come from Noto, a famous old city close to Avola. The tourist season peaks in the summer months, although people visit the island all year round. Mount Etna, the beaches, the archaeological sites, and major cities are the favourite tourist destinations. Located on the third and last floor of an important palace of 1700 expertly restored in 1994, this bright apartment was completely renovated in 2007. The property is cared for down to the last detail and offers a splendid view of the Rio del Malcanton, in a very quiet area with two steps from the Basilica dei Frari. The apartment, which has triple exposure (NES), consists of a large bipartite living area (living room + dining room), a small but extremely functional windowed kitchen, entrance / corridor with utility room, a bathroom with large shower, a large double bedroom and a single bedroom. The original truss beams recovered in the restoration, allow the roof to be reached on which it is possible to practice (prior project to be authorized) an opening and create a terrace / terrace. located at 300 m. from the Scuola Grande Museum of San Rocco, in the sought after district of Dorsoduro. Its location is convenient to Piazzale Roma, reachable on foot in about four minutes, and to the public transport services in the lagoon with the S. Tomà station within walking distance in about five minutes. The bustling Campo Santa Margherita and its surroundings offer all primary and secondary services. Semi-Detached 2 Bedroom Rustic Country Cottage Near Tavoleto. Semi-Detached 2 Bedroom Rustic Country Cottage Near Tavoleto Euroresales Property ID – 9825012 Property information: This property is a superb 2-bedroom house and is located in Valle Fuini, Tavoleto, Province of Pesaro and Urbino, Italy. The property includes 2 bedrooms, 1 bathroom, workshop, store-room (cantina), living area and kitchen. All of the living accommodation is on the first floor. The property is in an unobstructed area and provides wonderful views of the beautiful Italian countryside. The property also includes space at the front and side of the building allowing parking for any vehicles. The house is being sold as unfurnished with the exception of the kitchen, including: the cooker, microwave, wood-burning stove and large wardrobes. The second bedroom is currently being used as a study but can easily be changed back. The bathroom includes a toilet, sink, shower and bidet. 1/4 acre of land comprising a meadow, a stream and a little wood of mature oak, hornbeam and cherry trees. A superb opportunity for those interested in owning property in this superb area within Tavoleto, Italy. Other Information: Bedrooms – 2 Bathrooms – 1 Kitchen Furnished & Equipped Off-street Parking Country Views About the Area: The property is situated 3 miles from Tavoleto which is useful for shops, bar, chemist, bank, garage, doctor’s surgery, restaurant and a church. Valle Fuini is a very special secluded area and protected for flora and fauna with no new buildings allowed. The property is equidistant (25 km) from the famous cultural city of Urbino with one of the most beautiful Renaissance palaces in Italy and Cattolica, one of the most beautiful up-market resorts on the Adriatic with its superb beach, yacht harbour and the romantic castle of Gradara. There is also a main-line railway station, autostrada A14 and the nearby airport of Rimini. The house is also the same distance from the famous independent republic of San Marino. All these places can be reached in just over half an hour. Tavoleto has a humid subtropical climate with hot and humid summers and mild winters. In the coldest months temperatures drop around 0-6°C with the possibility of snow. In the warmest months of July/August temperatures often reach 30°C. The valley helps to shelter the area from extremes. Apartment Rossy, Cave del Pedril, Friuli. The apartment is composed of open plan living area and kitchen, 2 double bedrooms and a bathroom. Utilities present, individual heating system, wooden floors, well finished.